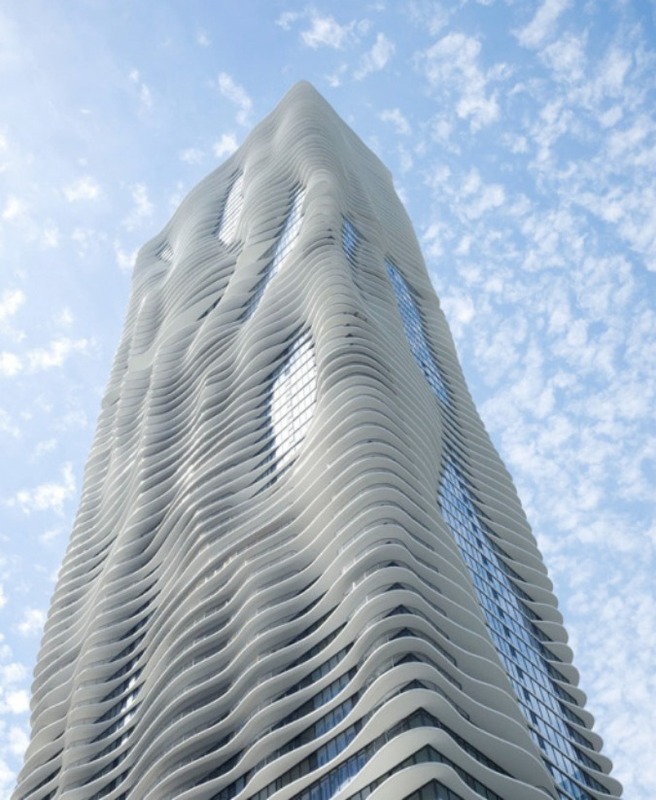 Studio Gang Architects for recently earned a PETA Proggy award for Aqua Tower’s bird-deflecting elements. PETA’s Proggy Awards (“Proggy” is for “progress”) recognize animal-friendly achievements in commerce and culture. Collisions with windows are among the most common human-related killers of migrating birds in North America, causing the deaths of more than 34 million birds in urban areas alone. By including a wavy exterior and special glass, which is etched with gray marks to make it easier for birds to see, the company has created a design that will help prevent birds from flying into windows. 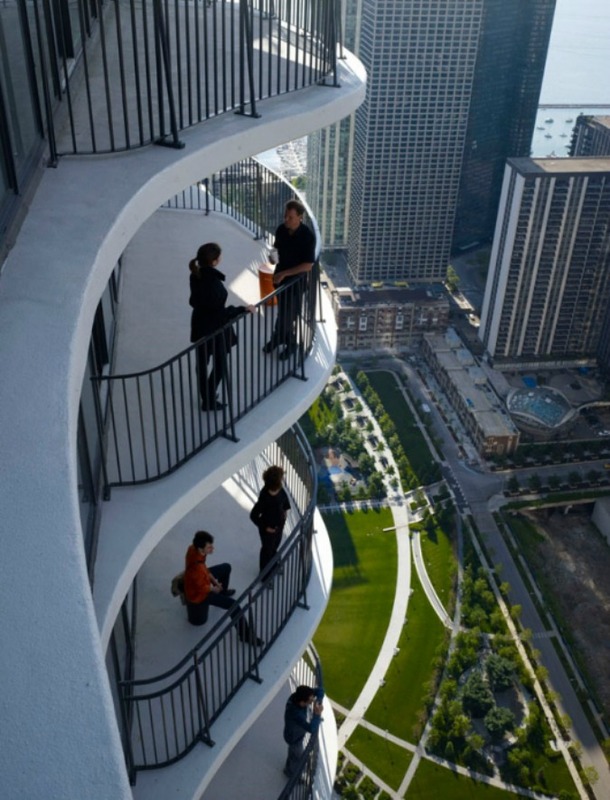 The 823-foot building is currently under construction in Chicago, and will contain 55,000 square feet of retail and office space. (source).